Protecting You & Yours like never before! 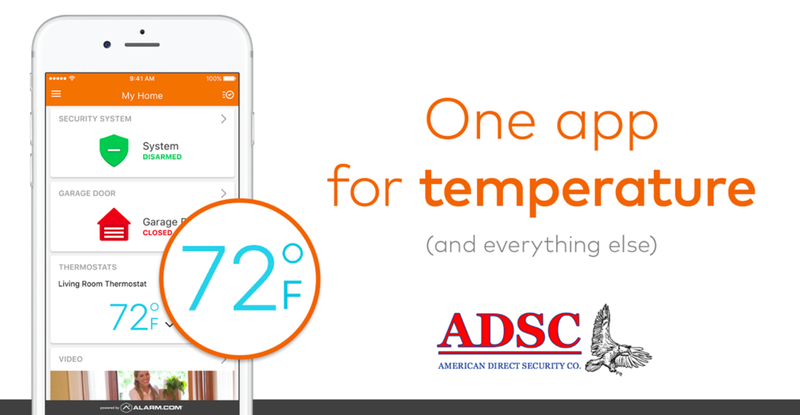 Smart Security by ADSC brings control of your home to the palm of your hand. For those who are trusted to protect their property and the people they love, Smart Security is the complete solution. As a family business, ADSC provides personal customer service and care that our competitors can’t match. Don’t let your packages get snatched! Order your Doorbell Cam today! Built-In Camera, Glass Break Sensor, & Handsfree Bluetooth Disarming! Life Safety Devices (Smoke, Water, Carbon Monoxide) available as add-ons. *Contacts emergency personnel over a cell phone signal, protecting from cut phone lines, power failures, or internet outages. As a family business, we value the trust our customers place in us to protect them. Your safety, family, and property becomes our priority. That is why we focus on you with our customer service. Our team is ready to respond right when you call.